Can I still buy it after it rallies? Wait for a pullback is the answer, like in the screenshot shown you can see it pulled back to the LVN area ( Low Volume Node ) and caught buyers there. 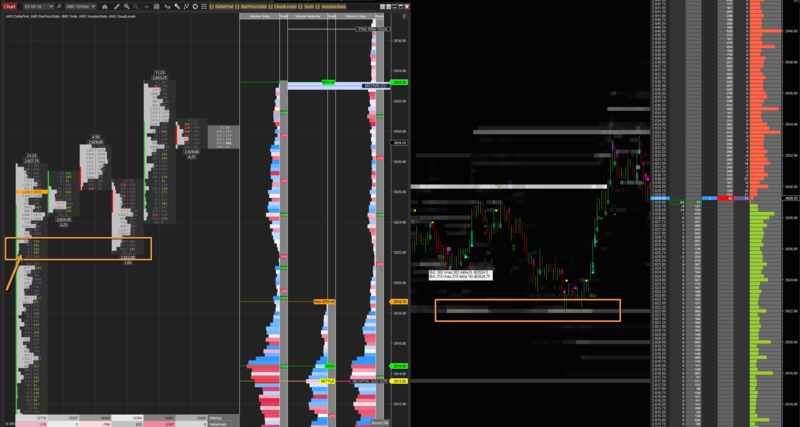 This was confirmed on BookFlow, showing the current and historical order book, where you can see the interest in buying the ES at 2622.00. While this is not always as perfect is it was just now, it will often give you high probability entries or exits.